Leawo DVD Copy 8.0.0 was available as a giveaway on November 21, 2018! How would you improve Leawo DVD Copy 8.0.0? 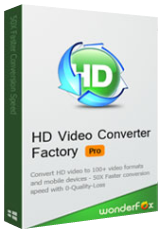 10-in-1 Media Solution to Download, Convert, Copy, Burn, Play, Edit, and More in 6X Faster Speed. 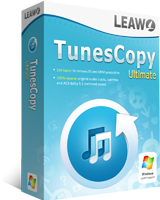 An ultimate media solution to download online videos and audios; convert videos, DVDs, and Blu-rays; copy DVDs and Blu-rays; burn videos to DVD and Blu-ray; edit videos, DVDs, and Blu-rays; play videos, DVDs, and Blu-rays, and so on. Special 40% OFF Sale for GOTD users! Leawo Blu-ray Copy offers you the best solution to copy Blu-ray or DVD movie without quality loss. This Blu-ray copy software can copy Blu-ray disc of BD25 and BD50, copy Blu-ray folder and ISO image file, copy DVD disc of DVD-9/DVD-5, DVD folder and DVD ISO image file as well. Special 30% OFF Sale for GOTD users! I used for a while, and it help me a lot really. Installed, tried to run, XP PC crashed after "... cannot find entry point to MSVCRT.DLL" (BSOD). Re-installed, same repeated. Tried to uninstall it, BSOD again. Had to delete the whole program folder (~90 folders , ~575 files). Such does not happen often, long time wasted, very dissappointed with Leawo. Installed, tried to run, XP PC crashed after "... cannot find entry point to MSVCRT.DLL" (BSOD). Re-installed, same repeated. Tried to uninstall it, BSOD again. Had to delete the whole program folder (~90 folders , ~575 files). Such does not happen often, long time wasted, very dissappointed with Leawo. Very sorry to tell that Leawo DVD Copy(merged into Leawo Prof. Media) can't work on Windows XP system any more, please kindly use it on Windows Vista/7/8/10. Generally I can give it an 8 out of 10. It does what it claims to do. Backs up my DVDs to hard drive losslessly. The difference between this program and MakeMKV is that Leawo DVD Copy creates a folder an ISO file which might not be supported by some video players and makes playback of the movie a little complicated. That's one point in MakeMKV's favorite. Both programs create lossless backups(videos). But Leawo DVD Copy has an advantage over MakeMKV. It can directly burn the folder or the ISO file you get to a blank disc. If you want to burn the MKV video created by MakeMKV to a recordable DVD, you'd have to look for DVD burner software to help you do that, which complicates the procedure and requires you to pay extra money for the software. So generally I'll give a higher score to Leawo DVD Copy than MakeMKV. I have used it in the past and it makes great back ups. Says set-up files are corrupted, download again. I have downloaded and tried to install many times with the same message. I would like some help with this please, you promise so much and deliver so little. Says set-up files are corrupted, download again. I have downloaded and tried to install many times with the same message. I would like some help with this please, you promise so much and deliver so little. If it does not work, please contact us at support@leawo.com . Keep getting a message saying the files are corrupted. Cannot install or activate. Way too much trouble. I apparently already had a previous version of this program installed. When I registered this new version with the code I received in email, it asked if I wanted to bind the previous code with the new code, to get all available functionality. I said yes, and it changed the activation status from "Trial - Forever" to "Registered - 365 days". Not what I was expecting. Is there a solution? Russell, I got the same problem as explained in #3 hereunder! If the Activation Center shows as Trial Forever, you are using the free trial version which can only output 5-minute content. As we explained at #3, you can use the functions you activated if you do not upgrade/uninstall&reinstall after the licenses expired. If the activated modules changed to Trial after you clicked Yes of Bind, please contact us at support@leawo.com so that we can confirm your licenses. You'll find quite a few posts in the comments for other giveaways, and WR gives an explanation in his reviews on the GOTD game site, and there's info in the forum... The short, Short version is that sometimes security software wrongly stops the actual setup process for the app or game you're installing. The GOTD setup app cannot know this, so when the setup program terminates, it assumes it installed the app or game correctly, and displayed the success message. Many people that are effected turn off their security software temporarily, others run the setup after booting into Safe Mode, but by far most people don't have a problem. Rae, You'll find quite a few posts in the comments for other giveaways, and WR gives an explanation in his reviews on the GOTD game site, and there's info in the forum... The short, Short version is that sometimes security software wrongly stops the actual setup process for the app or game you're installing. The GOTD setup app cannot know this, so when the setup program terminates, it assumes it installed the app or game correctly, and displayed the success message. Many people that are effected turn off their security software temporarily, others run the setup after booting into Safe Mode, but by far most people don't have a problem. Well, MakeMKV converts Blu-ray to MKV, so they are really two different programs. Leawo also has a program that can convert Blu-ray to lossless MKV and it's Leawo Blu-ray Ripper. It's cheaper than MakeMKV and offers more output formats. If you tend to watch movies on your computer then MakeMKV is fine, but for people who like to watch videos on their phone, Leawo Blu-ray Ripper is the better option here as it offers more output formats. No doubt they'll be compressed but the quality is good enough for a phone's screen. The lossless MKV's too large for a smartphone. Gene, Well, MakeMKV converts Blu-ray to MKV, so they are really two different programs. Leawo also has a program that can convert Blu-ray to lossless MKV and it's Leawo Blu-ray Ripper. It's cheaper than MakeMKV and offers more output formats. If you tend to watch movies on your computer then MakeMKV is fine, but for people who like to watch videos on their phone, Leawo Blu-ray Ripper is the better option here as it offers more output formats. No doubt they'll be compressed but the quality is good enough for a phone's screen. The lossless MKV's too large for a smartphone. I would NEVER watch a movie or show on my phone, and simply cannot comprehend the -- I guess generational ? -- thing by which anyone could do so. Even a 12.9 tablet or larger laptop screen is really pushing it for me: gotta go big screen for that. I might use the phone to check some quick video I had shot on it, such as with a real need to document something at a museum that supposedly does not allow photography, and I don't have a proper standalone camera with me that handles video. The comment above by Mike asserting that MakeMKV apparently diminishes the PQ (presumably a result of re-encoding) was a new one on me. I have never noticed any shortfall or quality issue with 1080p or even 720p source material that has then been rendered by MakeMKV -- and I like to think that I'm a critical observer. One good place to judges is often on darkly lit or night scenes. Even in HD broadcasts from HBO or Showtime, in some scenes you can sometimes see some telltale mottled texture or artifacts. Then you will know that over-compression is likely responsible for deteriorating the quality of what you are seeing. Joey, I would NEVER watch a movie or show on my phone, and simply cannot comprehend the -- I guess generational ? -- thing by which anyone could do so. Even a 12.9 tablet or larger laptop screen is really pushing it for me: gotta go big screen for that. I might use the phone to check some quick video I had shot on it, such as with a real need to document something at a museum that supposedly does not allow photography, and I don't have a proper standalone camera with me that handles video. The comment above by Mike asserting that MakeMKV apparently diminishes the PQ (presumably a result of re-encoding) was a new one on me. I have never noticed any shortfall or quality issue with 1080p or even 720p source material that has then been rendered by MakeMKV -- and I like to think that I'm a critical observer. One good place to judges is often on darkly lit or night scenes. Even in HD broadcasts from HBO or Showtime, in some scenes you can sometimes see some telltale mottled texture or artifacts. Then you will know that over-compression is likely responsible for deteriorating the quality of what you are seeing. If you do not upgrade/uninstall&reinstall Leawo after the license expired, you can still use Leawo DVD Ripper and Leawo Blu-ray Creator. To all readers: Leawo did answer the following to my complain: "Leawo DVD Ripper and Leawo Blu-ray Creator can be used even though they're expired if you don't upgrade or reinstall the program." So forget my comment noted hereabove. Ran setup on Windows 10 and then nothing happens. Just get a screen that wants me to install software informer and subscribe to GOTD emails. Program doesn't launch. Please close anti-virus programs and re-launch Leawo to try. If the problem persists, please contact us at support@leawo.com so that we can send file(s) for you to replace to resolve the problem. Look forward to helping you out.